Do you love to experiment with different spices in the kitchen? Personally, I love making various ethnic dishes, and experimenting on my own with various spices from different cultures. My only issue is that sometimes I am a bit too nervous to buy a whole jar of an odd spice, knowing that it could very well go bad before I use the whole thing (or even enough to justify the cost!). It is the bad part of experimenting, especially if you aren’t 100% sure what the spice is used for, other than a handful of popular dishes. 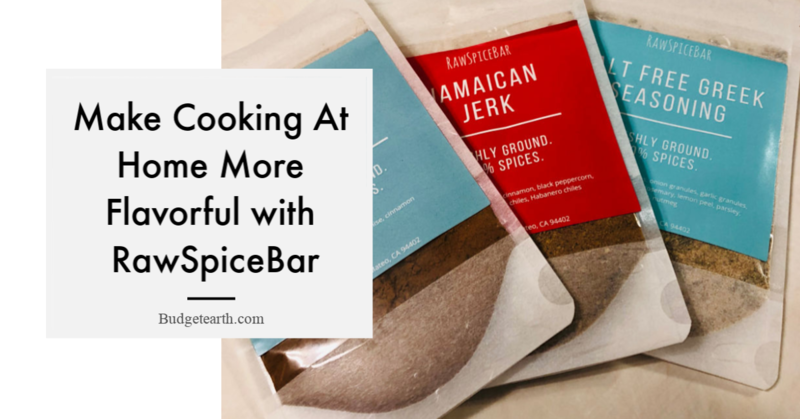 It was one of the reasons why, years ago, I was excited to try a new subscription box – RawSpiceBar. While I loved the subscription box, it was a bit too unpredictable over time, especially since I do try planning my meals in advance. Recently though, RawSpiceBar changed how they did they subscription box, making it more personal and predictable, which sounded quite interesting to my husband and me. When they asked if we would be willing to try their subscription box again and share it with you guys, we honestly couldn’t wait for RawSpiceBar to arrive! Love the idea of having high quality, freshly ground spices delivered right to your door? If so, we think you will love RawSpiceBar. This innovative subscription box allows you to discover seasonal and global spices you will love, then have them delivered right to your door, all salt free, without additives, freshly ground, and designed around various dietary needs. Unlike other subscription boxes though, they allow you to customize your spice choices from a list of over 75 global spices and spice combinations, meaning you pick what is best or most interesting for your family. Along with being able to choose your spices, you can also choose your frequency, having spices delivered monthly, quarterly, or every six months, depending on your budget, use pattern, and family needs. To learn about RawSpiceBar, make sure to go here. As someone who enjoyed the RawSpiceBar, I was honestly pretty excited about opening my package from RawSpiceBar. Unlike the themes that were part of the subscription box before, I had three packets that didn’t follow any sort of theme. For me, this was great since it allowed to have more fun experimenting. For my review, I received the following spice mixes – Jamaican Jerk, Cardamom Summer, and Salt Free Greek Seasoning. All the spices came in clearly labeled bags that made it easy to see to quickly open and determine what I wanted to do with these spices, and see how much I had left when I started using them. To test out the box properly, I decided to make a fun meal and dessert, using Jamican Jerk and Cardamom Summer. 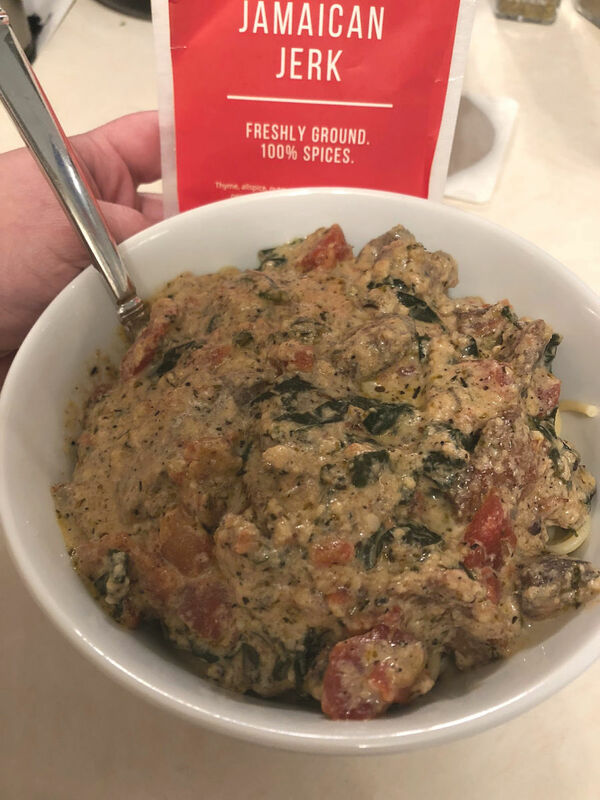 For dinner, we made a spicy pasta dish, using a cream base, mixed with tomatoes, spinach, and chicken (I used this recipe as a quick base but with my own spin). 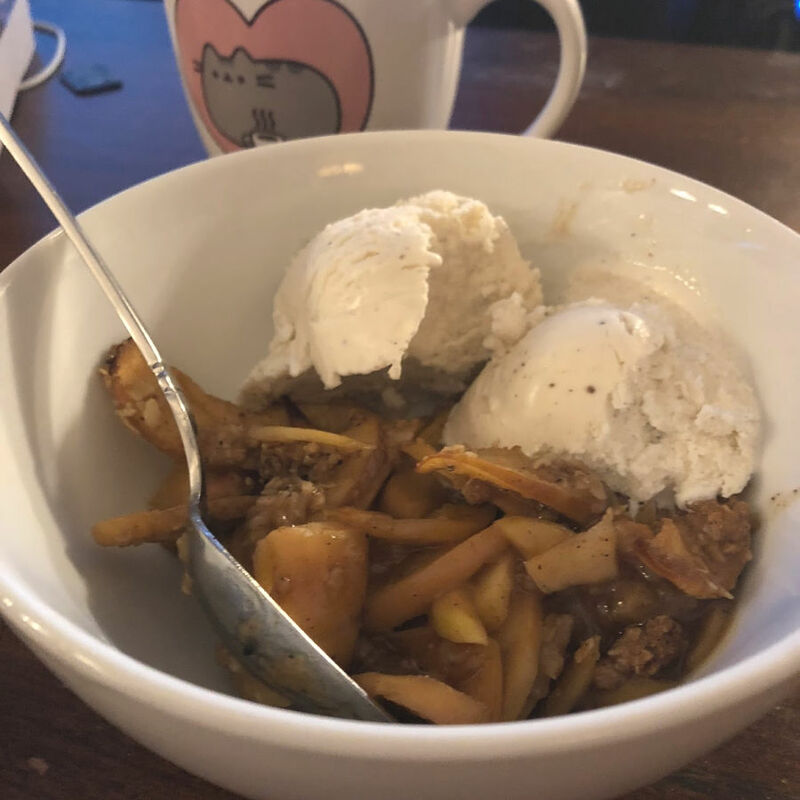 For dessert, we used RawSpiceBar’s apple crisp recipe with the modifications for Cardamom Summer. All the recipes very much complimented the spice and created a truly amazing flavor, making me excited to experiment more with the spices. 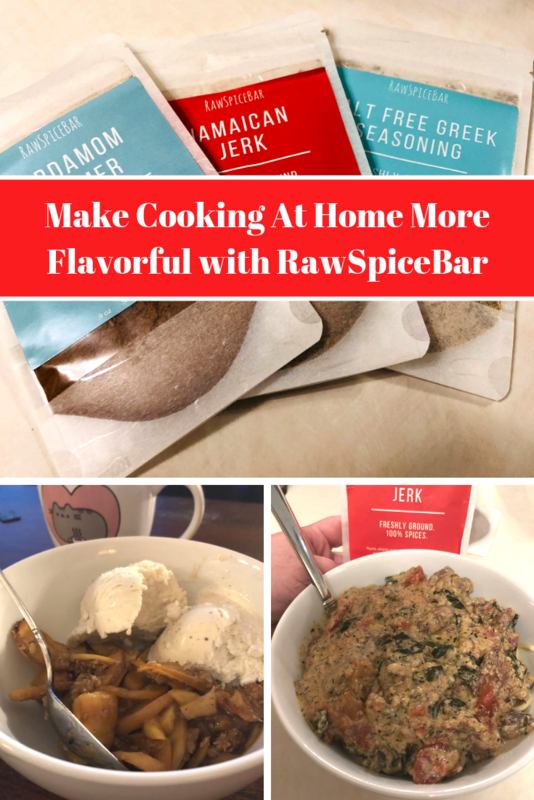 If you are someone who loves to experiment in the kitchen, and/or love cooking with gourmet, high quality spices, we highly recommend trying RawSpiceBar subscription service! Want to try these awesome spices for yourself, your family, or a home chef you know? 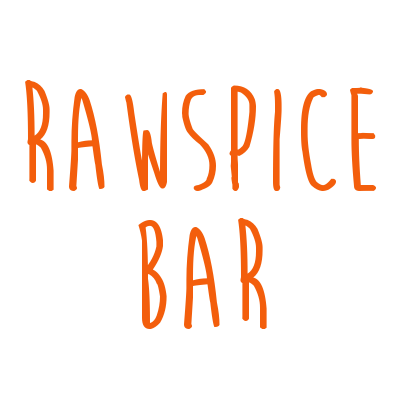 Check out all the amazing subscription options and their selection of over 75+ spices at RawSpiceBar! Who knew that getting quality, small batch spice combinations delivered right to your door could be so easy? Just go here to learn more!